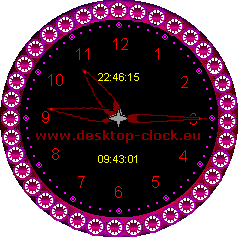 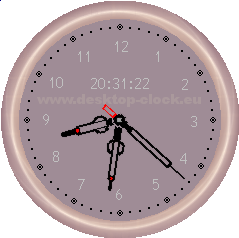 To open Desktop Clock control panel - place the mouse in the window clock area then two buttons should appear. 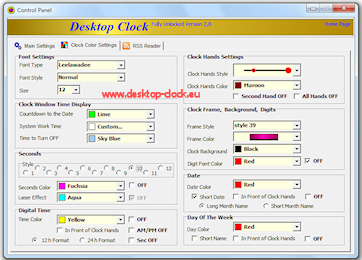 Button "Panel" let you enter to the desktop clock settings. 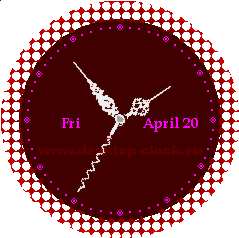 Button "C" closes the program. 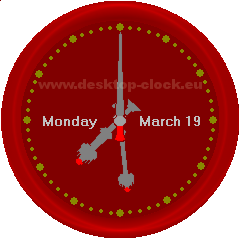 Alternative way of enter to the settings is right click desktop clock icon in the system tray and choosing "Control Panel"
Quick menu - right click desktop clock icon in the system tray brings you following desktop clock shortcut: "The Clock Control Panel", "Hide the Clock", "Daily Planner", "Today's Date"
Hide Desktop Clock window - You can hide the desktop clock window by clicking the right mouse desktop clock icon in the tray systems and selecting "Hide the Clock"
RSS (Really Simple Syndication ) is based on XML technology, extremely fast and easy way to receive information (headers and the content) from multiple Web sites simultaneously. 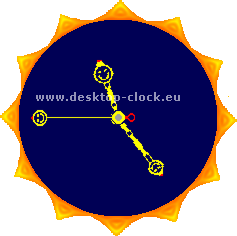 Instead of visiting individual pages, you can use your RSS reader to receive the latest information from websites that provide RSS subscription. 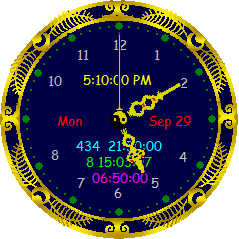 RSS feeds is slightly similar to the form of a newsletter, with the difference that streams news feeds are provided to you when they are published on the website, and not once a day or even not once a week, as is the case for the newsletter. 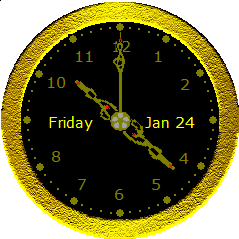 Additionally, for better identification of the channels, in addition to the text, RSS news streams also contain thumbnails of images attached to the Rss message. 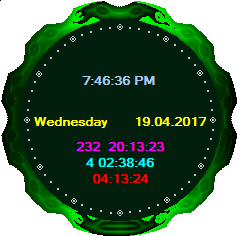 Any information presented in RSS must correspond to a certain structure and not every RSS document on the Internet meets such a standards. 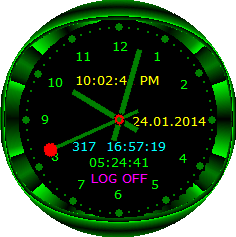 Use free RSS validators to check correctness of the RSS document. 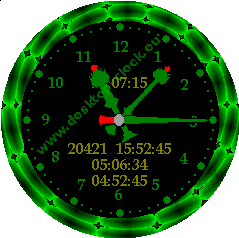 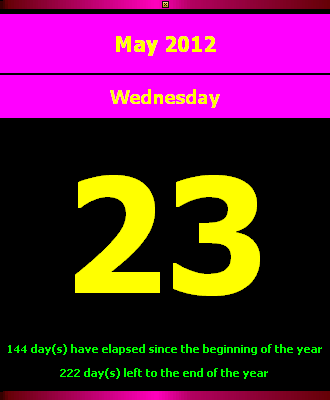 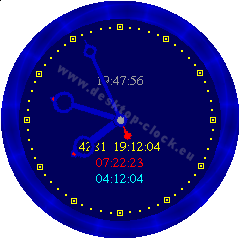 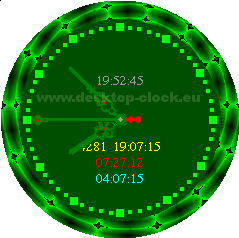 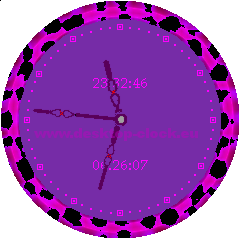 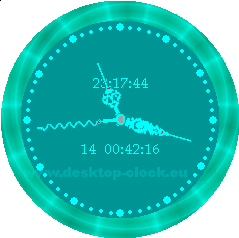 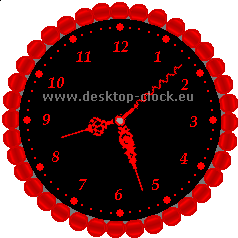 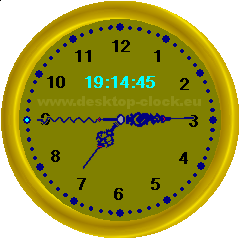 Desktop clock has been made for RSS feeds standard structure. 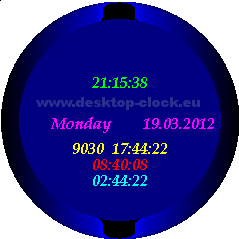 While using "desktop clock rss feeds feature" you can have latest information in your desktop, from following example rss feeds: Latest news and weather for your city, Sports news, Latest news from the world of celebrities, Business, Health, Technology & Science, Horoscope, Latest lottery winning numbers, Stock-exchange listing, Latest currency rates, Opinion, Marketplace and many more. 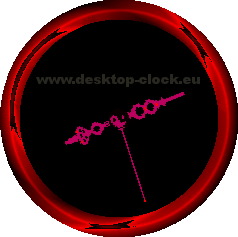 belongs to the category:Desktop Enhancement Applications-Low Maturity. 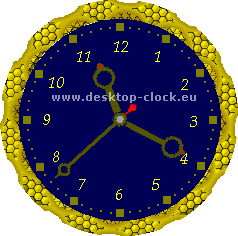 Desktop Clock works and looks like a standard analog clock with extra features. 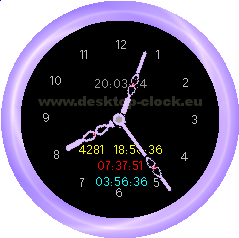 Desktop Clock appears while system startup and resides on your desktop. 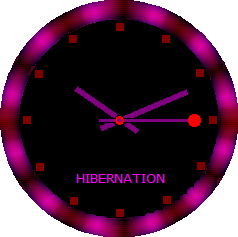 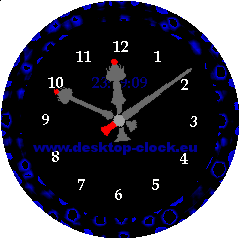 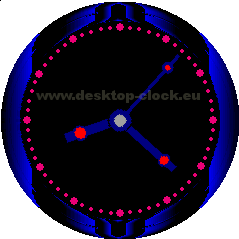 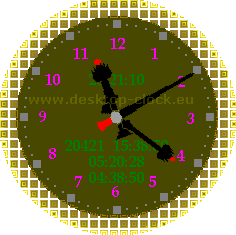 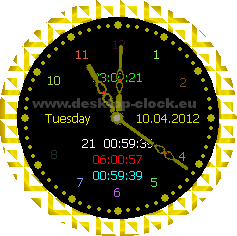 Almost all details you are able to configure including different types of clock hands and their colour. 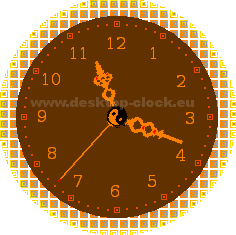 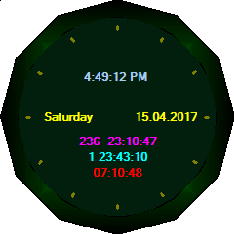 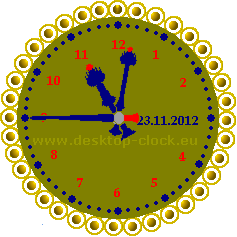 You can manipulate the different styles of clock frame and colour. 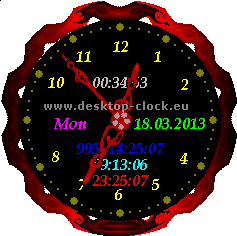 You are able to configure the font colour, font size and font style used to display text. 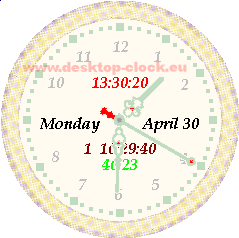 Any information displayed in the Desktop Clock is configurable by you to suit your own taste and affects the appearance of other clock windows such RSS window or Daily Planner Window. 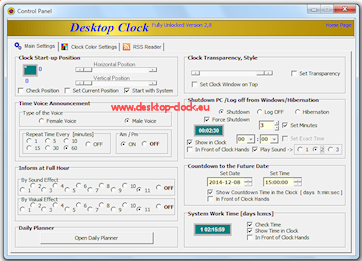 Here are examples of desktop clock voice announcemet, you can choose beetwen female or male voice. 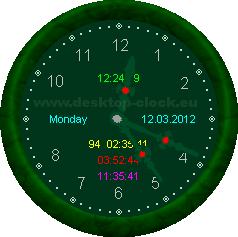 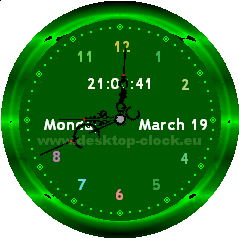 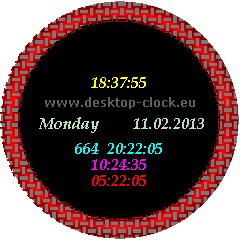 Desktop Clock - analog clock with RSS Reader, Time Voice Preview, Daily Planner and timer to shutdown the system. 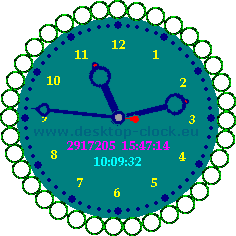 The main features include Time Voice Preview (Male or Female), Daily Planner, Shutdown system, Log off or even Hibernation Windows at a pre-defined time, Countdown to the Future Date, Changeable clock hands and frame, System Work Time since system start-up, 50 RSS feeds Reader with Timer ( excellent for reading news ) and much more.